Yes, this is a Roller! 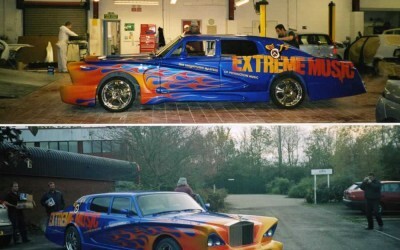 Fitted with a one off body kit, roof chop and wing extensions front and rear, this two-and-half-ton monster is a really serious case of “Pimp My Ride”. I was called in to lay on the intricate traditional flames in pearlescent orange and red, with a light blue pinstripe. 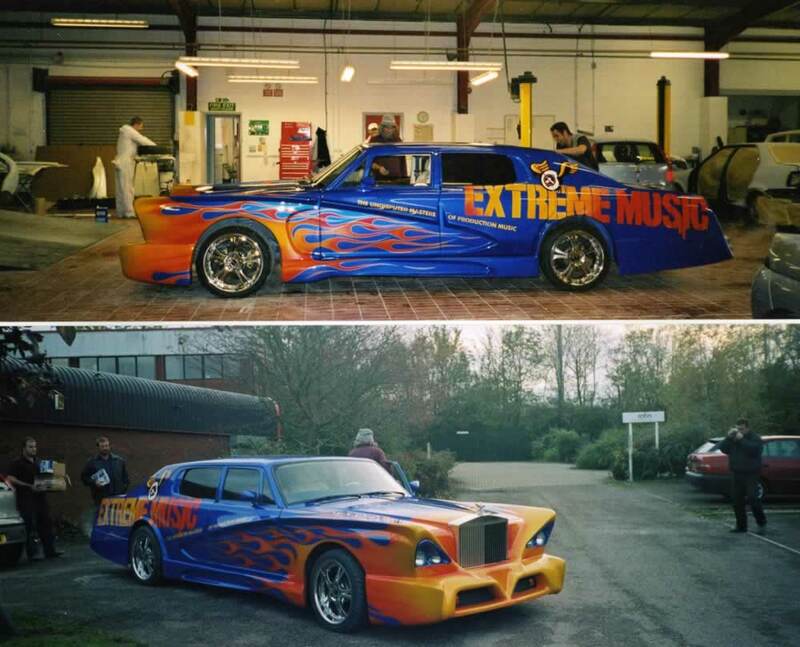 The car was commissioned as a promotional vehicle for a music company in London. 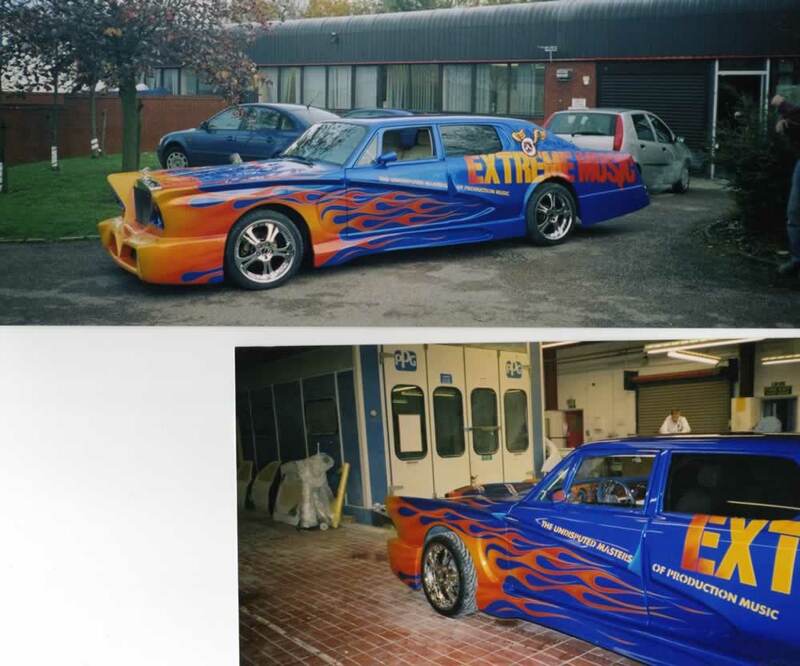 The corporate logos had to be laid accurately over the rear quarter’s roof and boot lid. 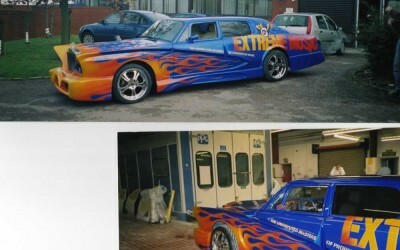 The car was then shipped to Los Angeles where it was used as God intended until it was written off in an R.T.A. Rumour has it that Arnie Schwartzenegger rammed it in his Hummer because it attracted more attention.